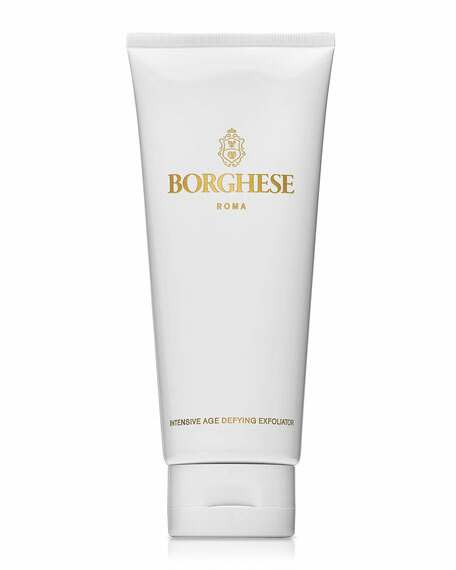 BorgheseIntensive Age Defying Exfoliator, 3.5 oz. Revitalizing treatment to restore tired, dull skin. 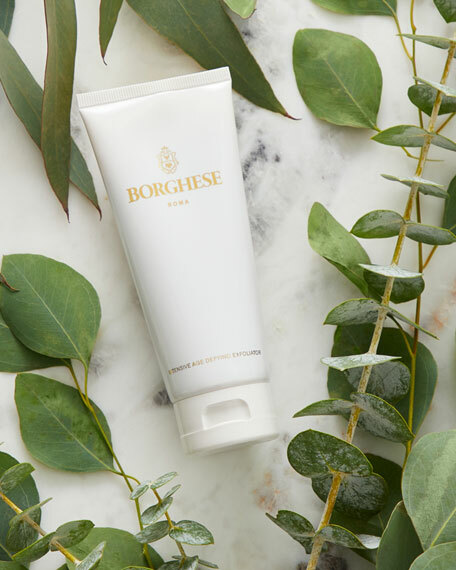 Building upon its proud heritage of the Italian skincare ritual, the newly relaunched Borghese unveils its new Intensive Age-Defying Exfoliator. 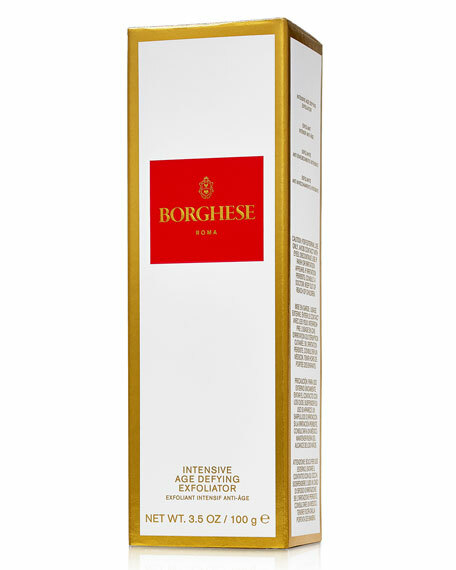 This foaming scrub helps smooth and resurface skin, remove pore-clogging debris and promotes a healthy radiant appearance. 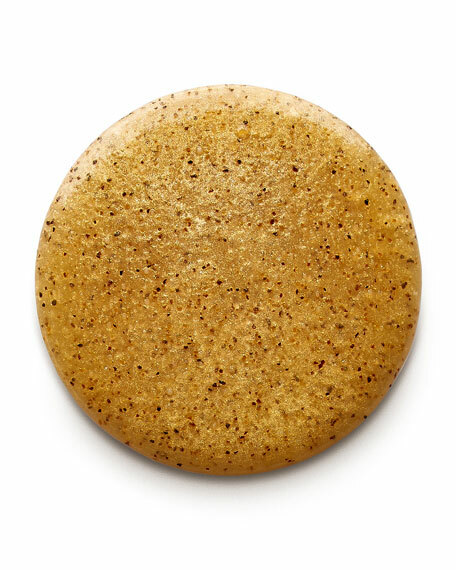 An ideal weekly treatment designed to boost skin's radiance, the Intensive Age-Defying Exfoliator restores tired, dull skin by offering a powerful yet gentle scrubbing technology that prepares skin for a subsequent mask treatment or moisturizing regime. Peptides: Help stimulate production of collagen and elastin. Stem Cell Extract: Helps boost skin's defense, reducing redness, and restoring a natural radiance. Hyaluronic Acid: Attracts, binds and seals moisture in skin. Resveratrol: A powerful antioxidant that defends against free-radicals and helps soothe and calm inflammation. Massage on damp skin with upward and outward motions, avoiding the eye area. Rinse thoroughly with warm water. Ideal for weekly morning or evening use.